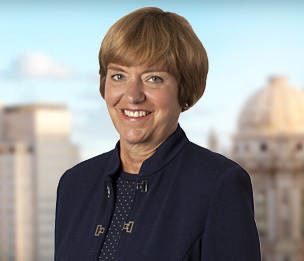 Debbie Clark is a member of Dykema's Corporate Finance practice in the Firm's Chicago office. Ms. Clark focuses her practice on representing domestic and foreign banks, and other financial institutions, in structuring and documenting financing transactions. She also has significant experience representing mezzanine lenders and borrowers. Ms. Clark has substantial experience in leveraged and investment-grade financings, secured and unsecured asset-based and cash-flow middle-market lending transactions, leveraged ESOPs, warehouse lines, and multicurrency and cross-border credit facilities for companies in virtually all industries, including financial services, retail, energy, including reserve-based and equipment, manufacturing, transportation, franchising, agriculture, gaming, telecommunications and automotive. Ms. Clark also has substantial experience in intercreditor issues involving mezzanine, senior and junior subordinated indebtedness in financing transactions. Ms. Clark earned a J.D. from the University of Texas Law School. Her undergraduate degree is from Southern Methodist University in Business Administration.